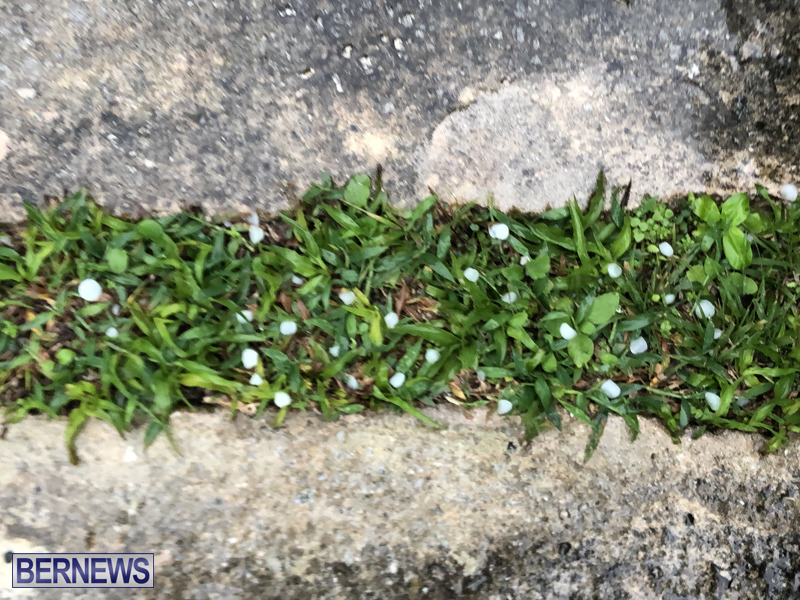 A Thunderstorm Advisory remains in effect until this evening, and the BWS forecast for today said, “A cold front wobbling overhead the Island delivers showers and rumbles of thunder into this evening, though winds are generally light to moderate. Update: Gary Hall and Michelle Pitcher from the Bermuda Weather Service explained, “It turned out to be extra exciting today weather wise. We have been experiencing our typical winter patterns with low pressure systems sweeping off the US East Coast and through our area. “There has been a rather stagnant upper level trough over the eastern US which has allowed the front this past weekend and today’s front to stall over us. With no forward progression in the upper levels, a.k.a. the Polar Jet Stream, low pressure systems are continuously generated in the same areas and tend to follow similar tracks. “Rainfall amounts over the weekend totalled 1.35″ [0.67" Saturday and 0.68" Sunday.] As of 2pm today, we have measured 1.74″. The next rainfall accumulation will be calculated at 8pm tonight. Average rainfall for the month of January is 5.3″ and the monthly total we have recorded as of yesterday was 4.47″. 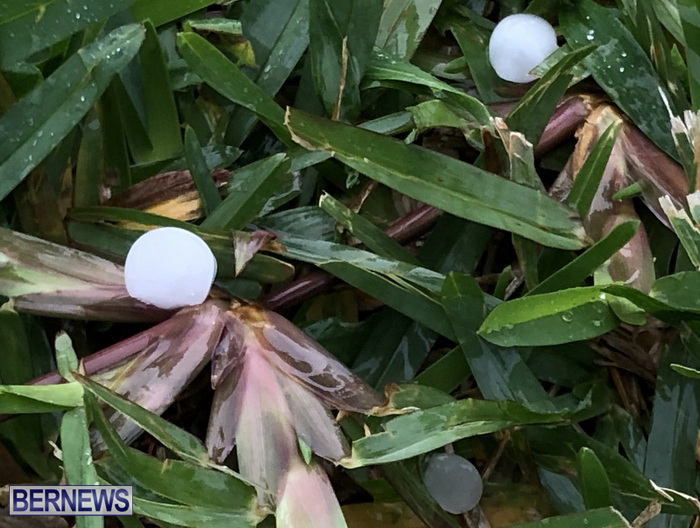 “Today’s hail, from what we have recorded as well as from reports across the Island, has been in the 1/4″ – 1/2″ range in size. 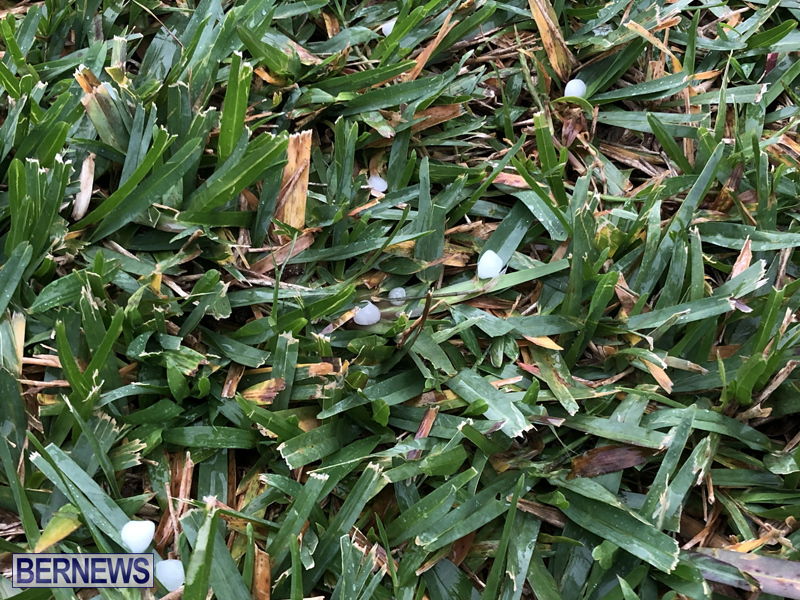 Typically in Bermuda we see much smaller hail as a result of cold outbreaks. 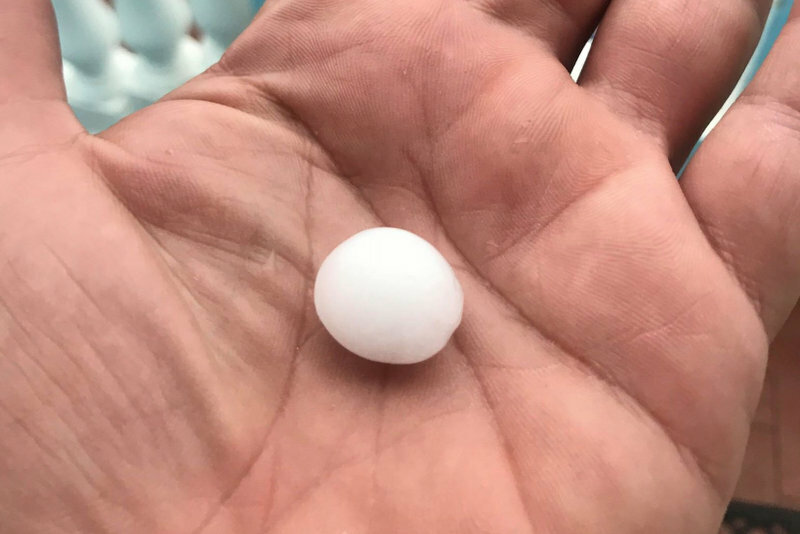 “We are too relatively warm for that type of process to form hail. Today’s event was caused by long-lived thunderstorms that have been trailing through the area as part of the stalled front that has affected us all day and is expected to continue through most of this evening. 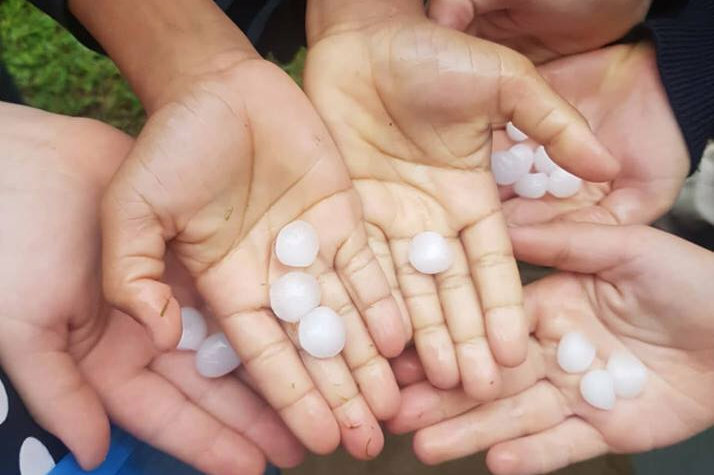 “Our last recorded hail event was 5 March 2018. 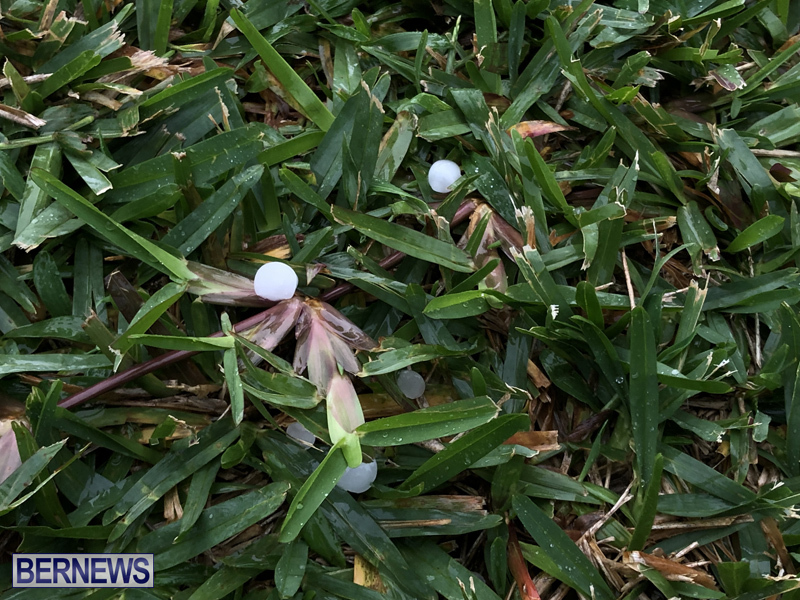 Normally, we average 1-2 hail events per winter. Who is still a climate change denier? 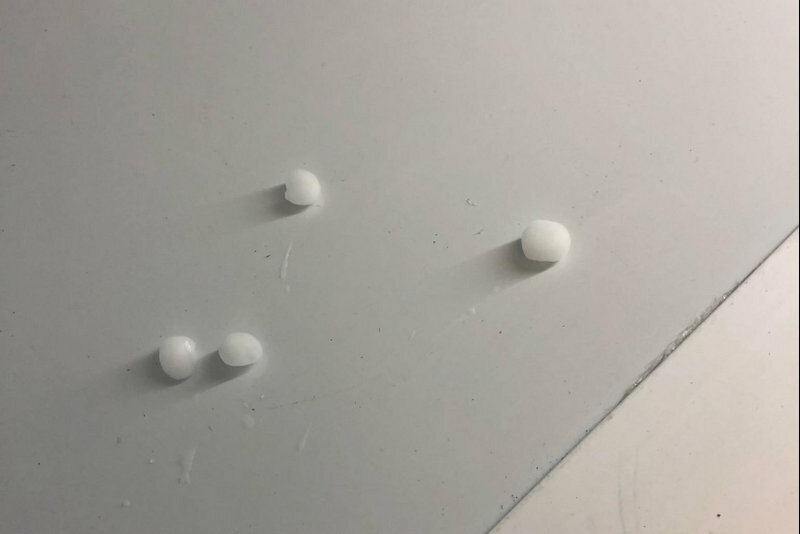 Not in denial but there’s nothing unusual about getting hail. Used to happen a few times every winter when I was little and that wasn’t yesterday and a long time before the subject of global weather pattern change. Yesterday was 67 degrees outside. 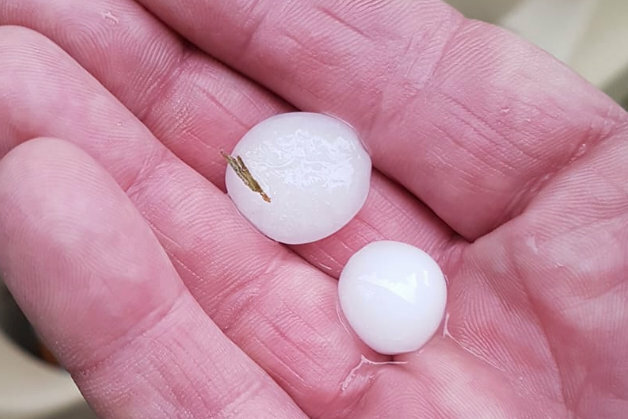 Rather humid for hail to form so it was quite unusual. Thanks for proving that you don’t live here. 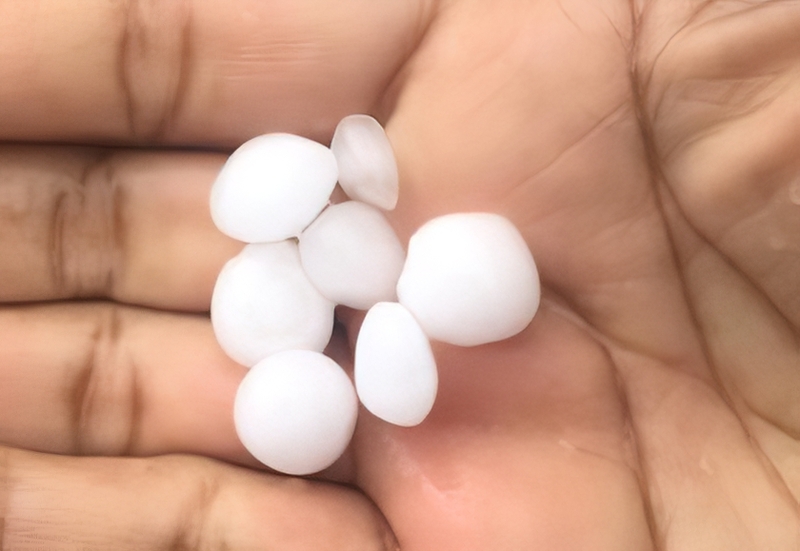 The formation of hail has nothing to do with ground level temperatures or humidity. Thanks for proving that you know nothing about meteorology or where I live.